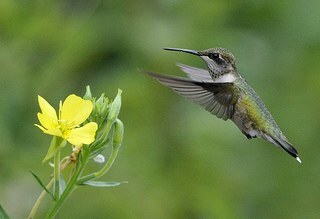 The Ruby-throated hummingbird upperparts are bright to golden green in both sexes. Adult males have a brilliant iridescent red gorget* & black chin. Underparts are whitish; sides & flanks dusky green; tail deeply forked and outer rectrices (tail feathers) very narrow, attenuate, and black without white tips. 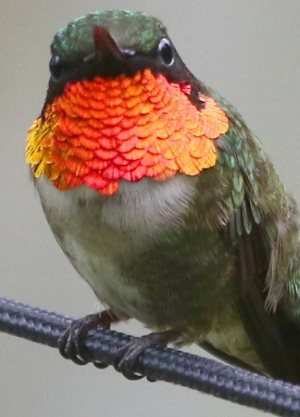 *Gorget (think "gorgeous"), is a bib of iridescent feathers that changes in color with viewing angle. Females & young hummingbirds lack the distinctive gorgets of adult males. Before the first molt, which takes place at the end of the breeding season, young males have a mixed plumage, and may show some flecks of color. Female's throat is whitish; underparts grayish-white, with buffy wash on sides; tail blunt with white tips. Note: Occasional females can have one to a few iridescent red feathers in the throat. Immature males will usually have heavy, dusky markings or with one (often by August) to many iridescent red feathers, becoming fully red by April-May of the following spring. Ruby-throated hummingbirds breed from central Alberta eastward to Nova Scotia, southward from eastern North Dakota to eastern Texas and Florida. In the U.S., winters in Florida and along the Gulf Coast, with occasional winter stragglers recorded northward. Others spend most of the winter in southern Mexico and Central America south to Costa Rica. The ruby-throated hummingbird nests in deciduous or mixed woodlands, open areas with scattered trees, parks, and gardens. The female alone builds the nest, which may take from 1-10 days, depending on weather conditions and difficulty of gathering material. The nest is built on a small, downward-inclined deciduous, occasionally coniferous limb, often near or over water, such as a brook or stream. The nest is composed of bud scales (winter coverings of flowers and leaves), lichen on the exterior, bound with spider's silk and lined with soft plant down. Viewed from the ground, the nest looks like a mossy knot on a limb. Old nests are occasionally occupied for several seasons and refurbished annually. Nest height ranges from 4'-50' but is usually 10'-20' off the ground. The outside diameter of the nest is between 1-1.75" (2.5-4.4 cm), no bigger than a half dollar! 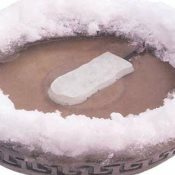 The height is about 1"-2" (2.5-5.1 cm). During courtship, male Ruby-throated hummingbirds perform a pendulum-arc-flight before the female, rising 3'-40' above and 5'-6' to each side of her, diving back and forth in a U-shaped arc. At the bottom of the arc, a loud buzz is made from the wings & tail. The ruby-throated hummingbird's diet consists of nectar, insects, and spiders but will also take tree sap from woodpecker drillings. Their northern distribution may depend on availability of this tree sap provided by sapsuckers' drillings when flower blooms are not as abundant. Eggs: Usually 2. Shell is smooth, no gloss & pure white; measures 12.9 x 8.5 mm, not much bigger than a jelly bean! Eggs are usually laid in the morning with an interval of one day between egg laying. The female usually starts incubating after the last egg is laid. She incubates from 60-80% of the day, depending on the weather. Hatchlings are altricial. No bigger than peas, they are blind, nearly featherless, and virtually helpless and in need of constant care. Nestlings rely entirely on the mother for warmth until about 8-12 days when they are then able to maintain their own body temperatures. 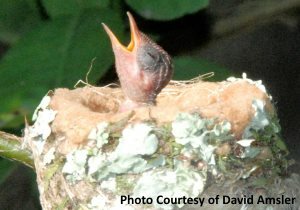 Nestlings are fed from 1 to 3 times every hour. They are fed by regurgitation, usually while the female is hovering. The mother inserts her bill into the nestling's throat and pumps in nectar & insects. Young ruby-throated hummingbirds will begin exercising & strengthening their wings by rapidly beating them while still in the nest. Preparing for their first flight, they will practice, but with caution. They will hold on to the rim of their tiny nest-cup with their feet to prevent themselves from being swept upwards before they are ready for it. When they are ready to leave, the fledglings often choose the morning hours for their first flights, which are sometimes over 50 feet. They are usually quite adept at flying almost immediately, although landing takes more practice. The fledglings usually stay in the vicinity of the nest, sometimes up to 20 days or more. The female may continue to feed the young during this time, although the young explore many flowers and come to learn which ones are rich in nectar. 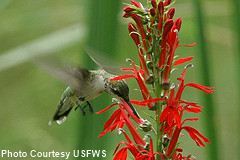 Ruby-throated hummingbird calls are a soft and husky tchew like black-chinned hummingbirds, but may average slightly sharper and higher. Also described as a rapid squeaky chipping sound. Their chase call is a sharp, sputtering zeeek ididididid, like a black-chinned, often repeated. Their song from a perch is a faint, high rattling teeteeteetee. Adult male's wings also produce a very faint, high buzz in flight. Here are some display sounds of the Ruby-throated Hummingbird. Hummingbirds have many skeletal and flight muscle adaptations that allow for hovering and high maneuverability in flight. They have compact, strongly muscled bodies. Muscles make up 25-30% of their body weight. Sexes apparently migrate separately; older males first to arrive and to depart. 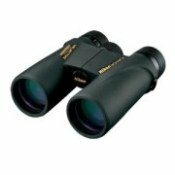 In the spring, the earliest females and many of the young males lag behind by 7-10 days. In the fall, males may leave as early as July. Most ruby-throats are gone in the U.S. by the end of September. Some stragglers may remain in southern Florida through the winter. Spring migration can occur as early as February. Look at these Ruby-throated Hummingbird spring migration maps to see the first reported birds in your area. Factors such as weather, length of daylight, & fat accumulation stimulate migration. Some birds may travel 2,000 miles or more from Panama to their breeding destination in Canada! Hummingbirds migrate alone, not in flocks, and not on the backs of geese! Ruby-throated hummingbirds mostly winter in Mexico and Central America. They fly 500 miles non-stop across the Gulf of Mexico, able to store enough fat to make this over-water crossing. Male ruby-throated hummingbirds returning from migration ahead of the females seek out areas with nectar-rich flowers, such as gardens, where they may establish a territory of a quarter acre or more. You will often see males defending a food supply from other male & female hummers. They have favorite perches, usually on a high branch near a flowering bush or feeder. This elevated position gives them an excellent vantage point to watch over their territory. 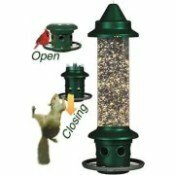 Male hummers will not hesitate to descend aggressively upon almost any intruder in their territory including larger birds, cats, squirrels, human beings, butterflies, moths, bees, wasps, and/or yellow jackets. When an intruder is spotted, they will fly directly at them, chasing the trespasser out of its territory. 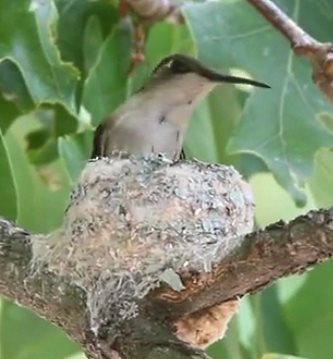 A nesting female ruby-throated hummingbird will often establish a temporary territory in the vicinity of her nest that she will defend against interlopers by aerial pursuit. This territory and that of her mate are often different. The longest living ruby-throated hummingbird recorded is 9 Years and 1 months (according to USGS Bird Banding Lab). Ruby-throated Hummingbird photo courtesy of Jeff Bryant.